Get out your blender and fire it up! These drinks are made with ice cream, ice, nuts and other thick or solid ingredients that have to be blended until they're like a slushy or a shake. 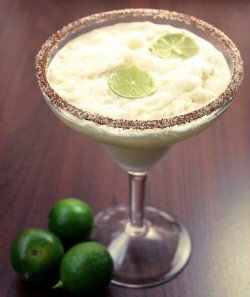 The Piñarita Cocktail is a tropical frozen mango drink featuring coconut cream, tequila and coconut rum. 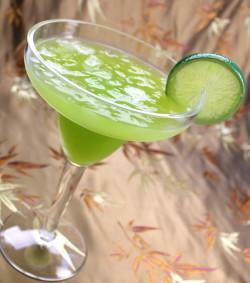 The Key West Margarita is a tasty blended margarita recipe that uses Midori and pina colada. This makes for a flavor that’s smooth and bold with just a touch of lime to wake it up. 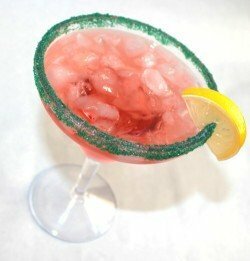 The Kiss on the Lips drink recipe is based on a drink served on Carnival Cruise Lines. It’s pure, simple deliciousness, mixing the flavors of peach, mango and berry. 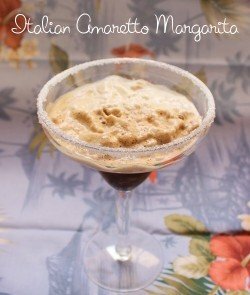 The Italian Amaretto Margarita recipe is a blended margarita that’s easiest to make in batches that serve four. It adds amaretto to the familiar margarita flavors of lime and orange, with a little sugar. 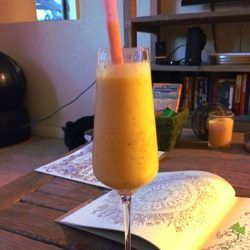 The Creamsicle Margarita is one of the simplest blended recipes out there, and what makes it really special is the vanilla ice cream. The predominant flavors are orange and vanilla. The Strawberry-Banana Margarita is a traditional blended margarita with the addition of actual strawberries and banana. It has the texture of a smoothie. 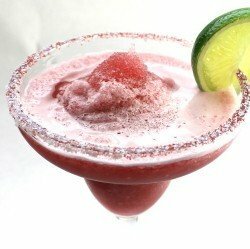 The Watermelon Margarita adds a big serving of pureed watermelon to the traditional margarita recipe. This recipe uses a lot of lime and not that much orange, which makes for a very refreshing flavor – watermelon with a zing. Try one of these the next time you’re in the mood for the taste of watermelon. 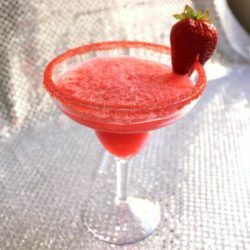 The Strawberry Margarita adds a strong dose of strawberry puree to the traditional margarita flavors of lime and orange.